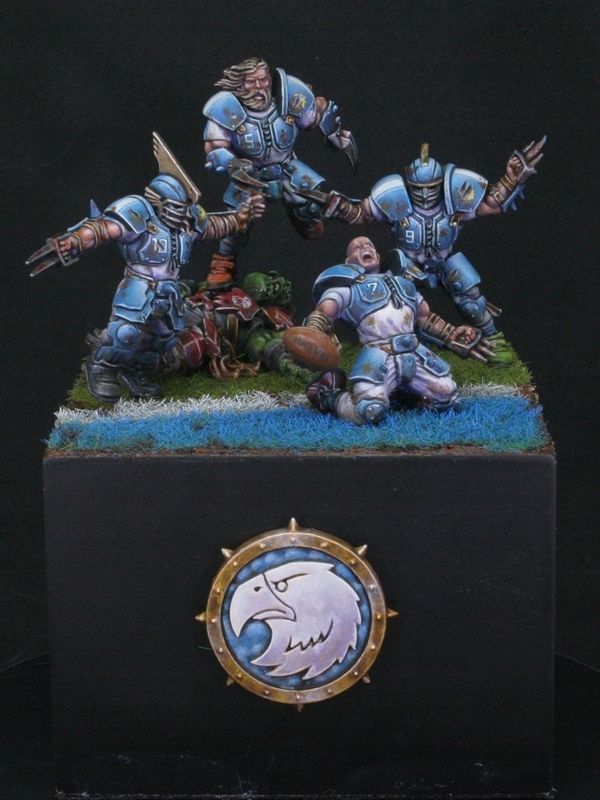 Bloodbowl dioramas are always cool. They really help show the game and distinguish it from a normal battle scene. Generally the models need very little converting to pose them correctly, but here he has done some pretty extensive converting. While the two on the sides are stock models, the one in the front and the back are pretty unique. He's really captured the look and feel of someone scoring a touchdown with the kneeling pose and the head swaps, while simple, really help breathe some life into the scene. The painting is great too, with smooth blends and crisp highlights. 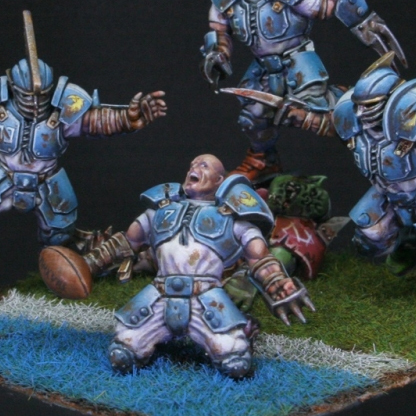 The amount of weathering on the models is just the right amount and definitely looks like they have been playing a game of Bloodbowl. Overall it's a really cool diorama and captures the feel of the game.